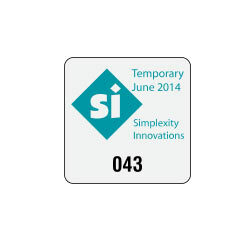 Provide parking validation subtlely with 1" Square Parking Permits. 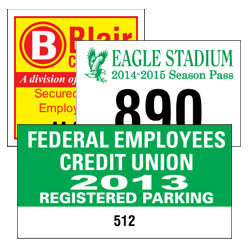 These parking permits are small enough to be placed on rear-view mirrors or tucked in the corner of a window. Even though they are small they are still easy to read and can be identitified quickly. 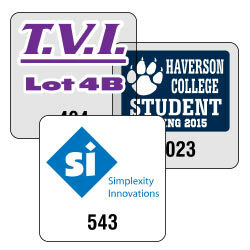 Common places you see 1" parking permits are in secured residential parking, school parking lots, government parking, and restricted parking garages or decks. 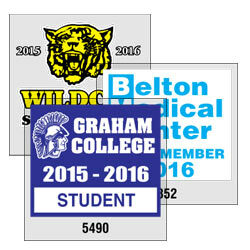 You can imprint a logo or name on white vinyl, white reflective, clear polyester, or clear static stick parking permits. 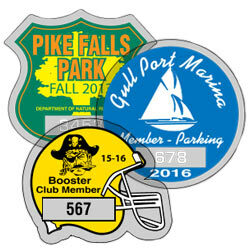 White vinyl or white reflective permits are weather resistant and can be placed on the the exterior or interior of vehicles. The clear polyester or clear static stick are for interior use and should be placed on windows. 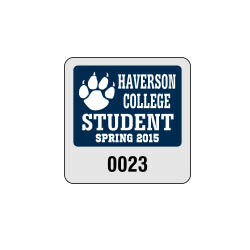 Adhesive for our white vinyl or white reflective parking permits is applied to the back face while, the clear polyester and static stick has face adhesive. 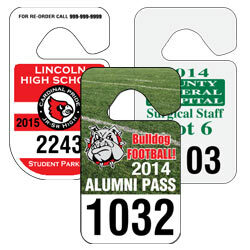 Consecutive numbering is included in the price and comes in black only. 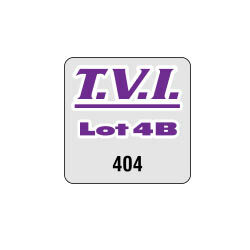 Be sure to specify the number range to be used when ordering. Production Time: Approximately 5-7 working days. Color Changes: Color changes are available. Item number and copy must remain the same on the entire order. Each change must be in multiples of 250. Copy Changes: Copy Changes are available. Size and colors must remain the same on the entire order. Each change must be in multiples of 125.